Why join the II Latin America and the Caribbean Open Science Forum? The CILAC 2018 Forum is the meeting place of sciences in Latin America and the Caribbean, connecting the region through the sciences, as a regional platform to discuss how to strengthen and implement effective scientific policies in line with the 2030 Agenda for Sustainable Development. The CILAC 2018 Forum convenes multiple actors, connecting scientists with civil society, academy, cooperation organizations, the private sector, and governments throughout the region and beyond.  CILAC has transcended Latin America and has become a global event, with the participation of colleagues and organizations from all continents, in a global strategy in favor of science for sustainable development. Sponsoring the Science Open Forum means much more than exposing your organization or company’s activities and products, it represents a commitment to the best practices that, from their sector of activity, are made to contribute to the values of sustainable development and equity. The partners of the Forum have defined different ways to be associated with this initiative, as described below in the different categories available for participation. Your organization – the services and products it provides, the research it carries out – has an invaluable platform of exposure here for the general public as well as qualified specialists and decision makers who will attend, from several continents, this II Latin America and the Caribbean Open Science Forum, in Panama City 2018. 250 word profile on the official CILAC website, including logo and link to your own website. Inclusion of the institutional logo in the official promotional video of the Forum. Video interview to an institutional representative, to be held during the Forum and published on its website. Exclusive promotion of your institution through CILAC’s Facebook, and dissemination on Twitter and LinkedIn. Inclusion of the institutional logo in the welcome poster at the entrance to the CILAC Forum. Acknowledgment of your entity in all media interviews. Acknowledgement as partner in all venues, including the Plenary, with banners with priority sized logos. Permission to use “CILAC 2018 Premium Partner” in your entity’s promotional material. Special invitation for 2 representatives for the Cultural Gala. Access to products in high definition of the CILAC official photographer. Institutional Support (infrastructure, agenda, equipment) for reserved meetings with special guests. Premium Stand Space: 24 mt² exhibition stand space, priority location allocation at the Exhibition Center. Priority seating for 5 representatives during the opening and closing ceremony. 100 word profile on the official CILAC website, including logo and link to your own website. Acknowledgement as partner in all venues, including the Plenary. Permission to use “CILAC 2018 Executive Partner” in your entity’s promotional material. Executive Stand Space: 16 mt² exhibition stand space, in a central location at the Exhibition Center. Priority seating for 2 representatives during the opening and closing ceremony. Special invitation for 1 representatives for the Cultural Gala. Standard Stand Space: 9 mt² exhibition stand space at the Exhibition Center. Priority seating for 1 representatives during the opening and closing ceremony.